Day hospital is a department used by specialized neurological teams of the clinic. It is intended for diagnosis and treatment of all neurological diseases. The concept of its work enables closer contacts with patients as well as diagnosis and treatment of neurological patients without any need of their overnight stay and separation from their families and working environments. The services are provided based on the previously made appointments, and short, planned stays during a day. Diagnostic and therapeutical approach is based on the most contemporary diagnostic criteria and therapeutic protocols that are currently applied in the world and standardized according to the good clinical practice criteria of the Institute of Neurology. In addition to standard laboratory tests, diagnostic procedures provided in Day hospital include cerebrospinal fluid analysis (cytobiochemical examination of the cerebrospinal fluid and isoelectric focusing of cerebrospinal fluid and serum), immunoserological blood tests, electrophysiological test methods (evoked potentials, electromyoneurographic examinations, EEG), neuroradiological methods (standard X-ray examination and computerized tomography (CT), ultrasound examination, vestibulometry and other neurootological diagnostic procedures, neuropsychological tests, cardiological examination and ECHO examination of the heart. The treatment includes medicamentous therapy as well as plasma exchange therapy, intravenous immunoglobulin therapy carried out at Day Hospital. 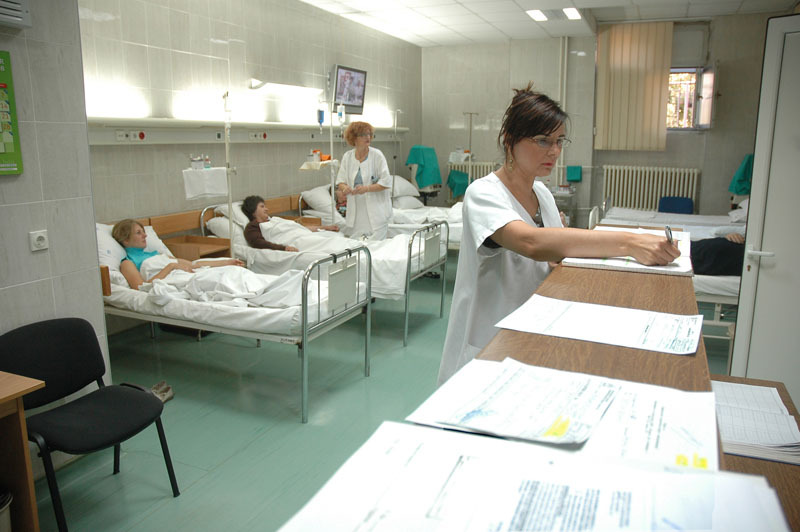 The patients are referred to Day Hospital after specialist examination carried out based on previously made appointments at the Clinical Center of Serbia Polyclinic or Emergency Center and the patients are required to have doctor’s order issued by the neurologist from the competent health center. Dr. Aleksandar Ristić, Day Hospital Head performs outpatient examinations on Monday from 8 a.m. till 2 p.m. at the Day Hospital. The appointments shall be made at the Clinic on telephone number 306-42-35. Telephone number of the Day hospital is 306-42-13.